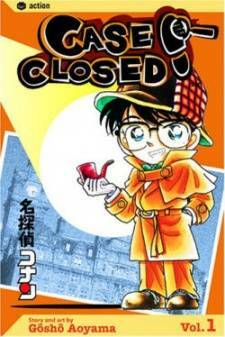 Scenario: Kogoro is asked by Mark Newman to trail his friend, Abraham Yancy, for three days to protect him from possible danger. On the night of the second day, Abe is found dead from fourth-degree burns in Akaoni during the annual Fire Festival. Mark Newman gains over five million yen of life insurance money as part of a bet between the two, leading Kogoro to list him as the main suspect. Since Newman was on a business trip when the murder took place, he has a perfect alibi. 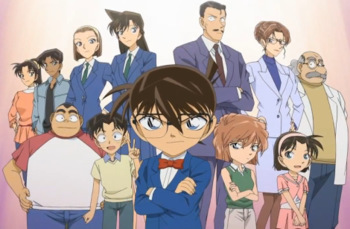 With clues from the photos taken by Kogoro and Newman, Conan is able to determine that Yancy died before Newman's trip and the man who Kogoro was following was a man disguised as the victim. The body found in Akaoni, however, was the real body. Yancy was killed before the trip and the body was thrown into the fire the day it was discovered. The motive was that the company Newman owned was in debt and the insurance money paid for it all with some left to spare. With the spare money, Newman booked a one-way flight to a tropical island where he would live out the rest of his life. Conan realizes he must stop Newman before he gets on his flight. Using his voice modulator, he convinces Inspector Megure and Kogoro to meet at the airport of Newman's flight. There, Conan confronts Newman who admits to murdering Yancy. Conan records the message and threatens to show the police. In desperation, Newman attacks Conan though he is knocked unconscious after Conan kicks a tire into his face. Newman is arrested after the recording is heard by police.